Medrar for Contemporary Art is accepting applications for the 9th Cairo Video Festival, which will take place in September, 2019. The 9th edition will focus on a new approach to venues scattered around the city. Programs will be screened among such venues, in addition to theatre screenings and exhibitions to promote, expand and harvest attention to the practice of video-making. 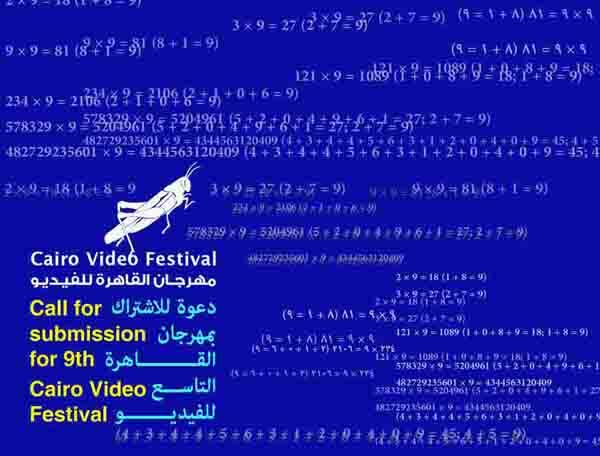 Initiated by the cairo based art space Medrar for Contemporary Art in 2005, the festival continues its focus on providing a platform for sharing and discussing newly produced video art and experimental film. The call is also open for curators and institutions involved in the production and distribution of video art and experimental films to submit their programs. The festival’s program takes the format of a concise series of video screenings, accompanied by talks and discussions with active video-makers and curators to tackle some of the key themes and issues presented in the works. Individuals, groups, curators or associations are invited to participate. The number of entries by one author is limited to two works. Please note that you must submit a separate application form for each work submission. Feature films, documentary or commercial videos are not accepted. Videos should be produced after January 2017, and no longer than 30 minutes of duration. Attach 3 high resolution video stills for each submitted work. All moving image works under video art and experimental film are accepted including new media art like interactive video, VR, CGI, etc. The festival’s committee will make the selection and the 9th edition program. The organizing crew has the right to use the participants data within all promotional means and publications, with reserved copyrights. All works submitted will be included in the festival’s video archive, and may be screened for retrospective research and/or educational (in no case commercial) purposes in the various screenings. Medrar will not screen to public, give, sell or rent copies to other institutions or private persons interested without written consent by the producer of the video. The Cairo Video Festival is a platform to start a conversation between video-artists, curators and the public, and a space for artists to showcase their innovative, low-budget video art productions that are selected according to quality, authenticity and conviction in investigation of subject matter.